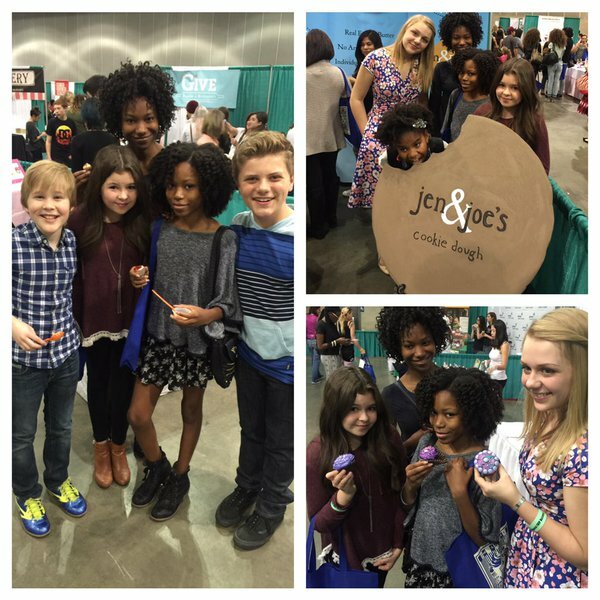 Article: Addison Riecke, Larsen Thompson, Casey Simpson, Trinitee Stokes, Ava Cantrell, Aubrey Miller, Riele Downs And More Have Fun At The LA Cookie Con! An event focused all about cookies and sweets? Sign me up! Many of your favorite celebrities had a scrumptious time as they attended the LA Cookie Con. Enjoying the amazing convention and some delicious treats, incredible celebrities including Addison Riecke, Larsen Thompson, Casey Simpson, Trinitee Stokes, Ava Cantrell, Aubrey Miller, Riele Downs and Reiya Downs were all in attendance. Check out more photos below of all of these outstanding celebrities in attendance at the fantastic LA Cookie Con! Comment below and tell me or tweet me at @alexisjoyvipacc, what is YOUR favorite sweet treat? Previous Article: Lizzy Greene Had A Marvelous Time At The Winterfest Of Wheels Helping To Cure Kids With Cancer! Next Article: Get Ready To Make A Goal As Nickelodeon Picks Up A Second Season Of NickSports’ “Soccer Superstar”!